Since joining Northwell in 2012, Charles Schleien, MD, has provided executive leadership is senior vice president and chair of pediatric services, including Cohen Children’s Medical Center. He is also a professor of pediatrics at Zucker School of Medicine. Before joining Northwell, he was executive vice chair in the Department of Pediatrics at the Columbia University College of Physicians and Surgeons, and professor of pediatrics and anesthesiology at Columbia University/New York Presbyterian Hospital. He is past director of the Division of Pediatric Critical Care Medicine, which he founded upon his arrival at Columbia in 1999, and served as medical director of the Pediatric Intensive Care Unit at the Morgan Stanley Children’s Hospital of Columbia University. Dr. Schleien previously served as director and fellowship director of pediatric critical care medicine in the Department of Pediatrics at the University of Miami/Jackson Memorial Medical Center, and professor of pediatrics and anesthesiology at the University of Miami School of Medicine. 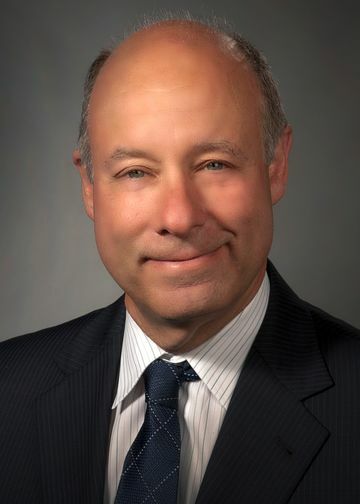 Dr. Schleien’s professional affiliations include memberships in the American Academy of Pediatrics, American Society of Anesthesiologists and the Society of Critical Care Medicine, as well as holding prestigious fellowships in the Academy of Critical Care Medicine and American Heart Association. A longstanding member of the American Heart Association–Emergency Cardiovascular Committee, he was instrumental in formulating the international pediatric guidelines in CPR. His clinical and research interests include cardiopulmonary resuscitation, neuroresuscitation, pediatric bioethics and pediatric administration. Dr. Schleien received a bachelor’s degree from the City University of New York’s (CUNY) Queens College, his medical degree from the Mount Sinai School of Medicine and a Master of Business Administration from Columbia University. He completed a pediatric residency at Texas Children’s Hospital, Baylor University Affiliated Hospitals; an anesthesia residency at The Johns Hopkins Hospital; and a fellowship in pediatric critical care medicine at The Johns Hopkins Hospital.